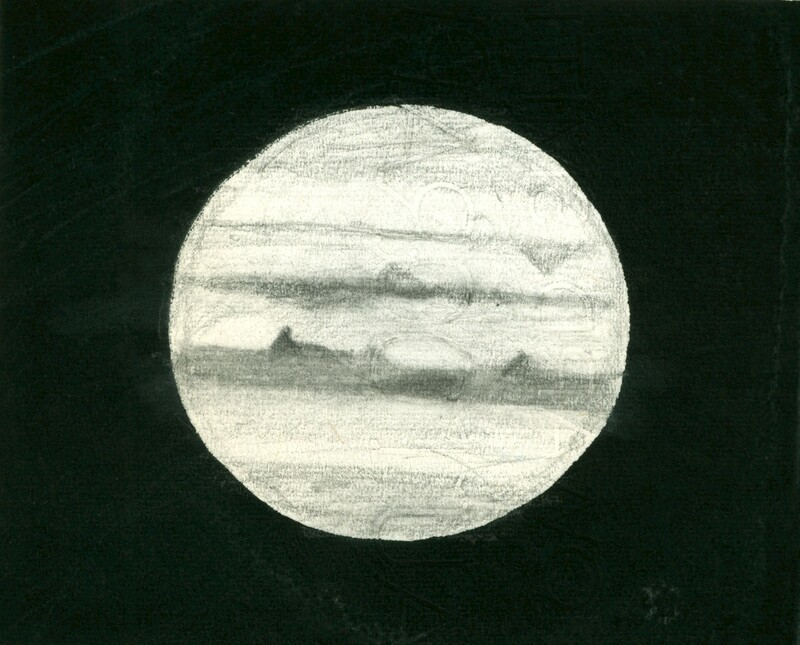 Jupiter on 1959 July 3/4 at 21:15 EDT (01:15 UT) as sketched by G. Gaherty, Jr. C.M. (1) 136º, C.M. (2) 292º. 8" Cave reflector at 240x. Seeing 2. Transparency 3 (sky light). Difficulty encountered with watermark on paper. Drawing slightly retrouched to even out shading over watermark letters. (retouching done within 5 minutes of finish of drawing. North is down.